A Live Auction will be held the night of the Annual Dinner Gala, March 18th, 2016 at the Hamilton Manor, Hamilton, NJ for this amazing vacation stay in Belize! Come ready to bid for a chance to experience this slice of paradise! 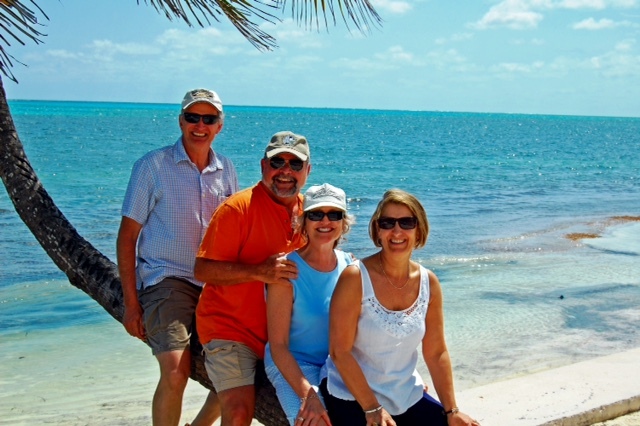 The winner of the "Welcome Home to Belize" package will receive a one week private stay in a two-bedroom, 2 bath condo in the town of San Pedro on the beautiful island of Ambergris Caye, Belize, owned and generously donated by New Jersey nursery owners, Ken and Jenny Osterman. The second-floor condo is located in a 2 story complex with six condos, about 50 feet from the Caribbean; the reef is one-half mile offshore. The veranda is about 33 feet by 14 feet. In the master bedroom, if you pick your head up from the pillow, you can watch the sun rise over the reef! Belize is home to the second largest barrier reef in the world, spanning 185 miles of Belize's turquoise waters, so get your scuba or snorkel gear ready for an incredible experience! Sit back and unwind, or explore the mainland with cave tubing and other excursions. ​Ken has also put together a very informative Belize Info Sheet with suggestions on transport, food, and excursions. The condo is available anytime from April 23, 2016 and early January 2017 Temperatures are usually in the high 70s at night and the mid-high 80s during the day. Please contact Kris Guttadora (609) 462-9691 or njagsociety@gmail.com with any questions. The amount of breeze varies a lot, so we always tell visitors that if they have water activities on their wish list they should not put them off because it could be a perfect, calm day one day and be very choppy the next. Electrical power is just like in the US. Converters are not needed. A hairdryer is provided. We have WiFi but choose not to have a television.